Asus USB-N13 802.11n Wireless USB Network Adapter - Wireless Network Adapters - Memory Express Inc. The ASUS USB-N13’s specially-designed internal antenna provides you consistent transmission and wide coverage. The WPA/WPA2 enterprise encryption enables you to access corporate certificate-based authentication network, ensure that you to communicate under fast and high protected environment. 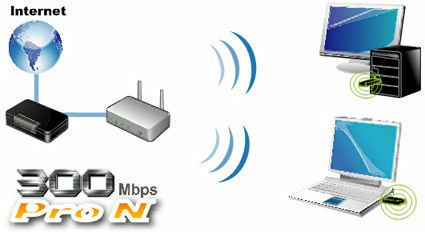 Simply insert USB-N13 into your computer’s USB port and press the WPS button on both the router and USB-N13. Within two steps, a secure and protected wireless connection setting done! 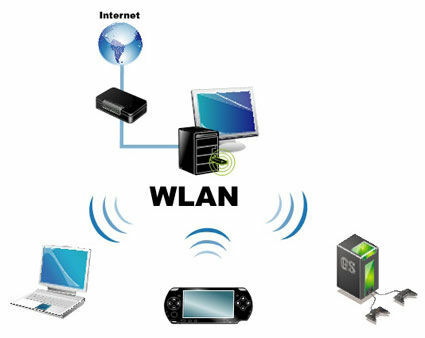 When you are in business trip, when you like to share your internet access, the USB-N13 build-in software AP enables you to create a small WLAN environment and connect to the internet via ICS (Internet Connection Sharing). Its ACL (Access Control List) and ICS (Internet Connection Sharing) let you easily manage your access authority and quickly turns your PC into a Wireless AP, flexible and convenient. The debut USB-N13 supports you multiple OS driver to easily go freedom wireless on most aboveground OS, such as Windows, Linux, Mac, and even the new Windows 7 and Mac 10.6.